Members are the one dimensional elements of a structure. 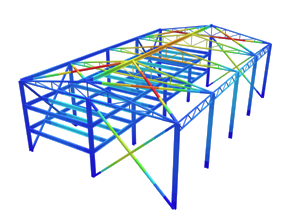 Most commonly they are used to model beams, columns and struts under applied loads. As a member is created, it will appear as a straight line with a label. Once a member is assigned a cross section number, its colour will change. This allows for members with different cross sections to be easily identified by colour. Members are identified by their member number which appears in the middle of the member by default. Users can click and move the member number label if they wish. Please see our article on sign convention for local and global axes. Members can be created (and edited) via the form, the datasheet, or by using mouse controls. To use mouse controls, click and drag from the starting node to the ending node, and release the left click button. Node A: The node where the member starts. Specified by the node number. Node B: The node where the member ends. Specified by the node number. Section ID: The cross section of the the member identified by its ID. Node A Fixity: How the member is connected to the starting node A. Specified by a fixity code. Node B Fixity: How the member is connected to the ending node B. Specified by a fixity code. Type: Members can be Normal (supporting tension and compression), Continuous, Cables or Rigid Links. Angle of Rotation: The angle (in degrees) to which the member is rotated about its own axis. Node A Offsets: Specify a distance offset at the starting node A. Use this to model members which are not connected at the centreline. Node B Offsets: Specify a distance offset at the ending node B. 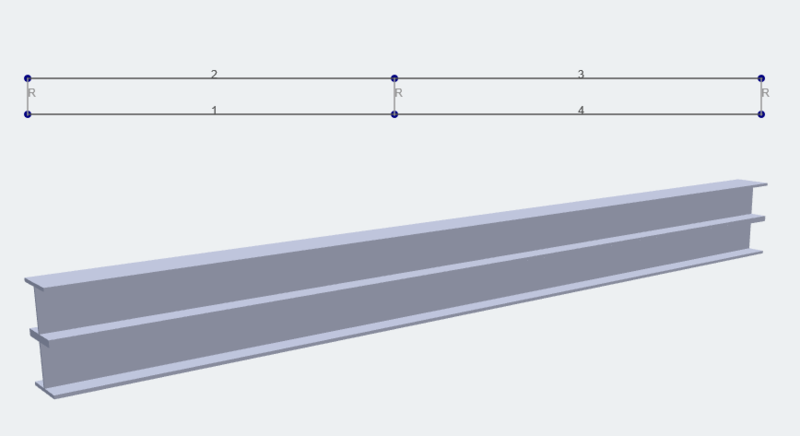 Use this to model members which are not connected at the centreline. S3D has inbuilt functions to help you model your members faster. One of them is Split Members, which lets you split the member into multiple parts, based on the following 3 options (1) by intersecting nodes, (2) by percentage or (3) into x number of parts. Simply highlight and right click any member (or multiple members) and click Split Members. Please visit our documentation on continuous members to learn how to model continuous members. Please visit our documentation on cables to learn how to model caternary cable elements. Simple specify the member “Type” as “Rigid Link” to create a member that acts as a Rigid Link. When this is done you will see that the rigid link is drawn in light grey color with a “R” symbol beside it. Rigid Links can be useful to define rigid connections between structures that involve stacked beams or members. They are often thought of as imaginary stiff links that join members so they can translate and/or rotate together. A rigid link can also be used to manually control for member offsets. Additionally you can change the fixity/releases in the rigid link to control what forces and effects it has on what it connects to.